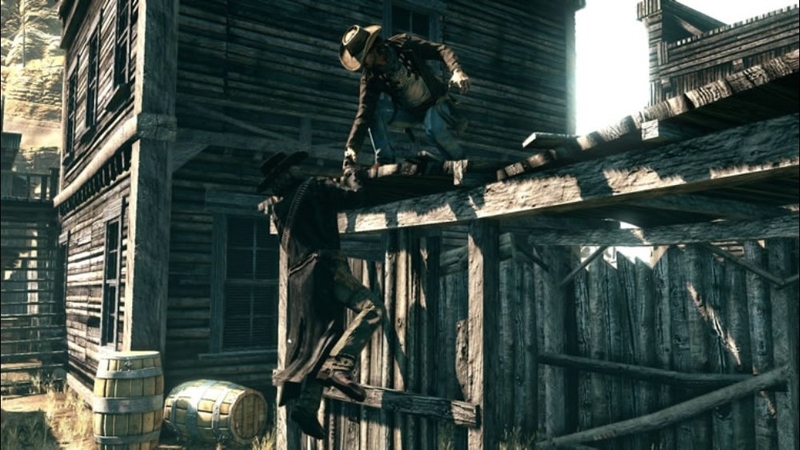 Call of Juarez: Bound in Blood, as you might know, is a prequel to the 2006 game, Call of Juarez. This game explains the reasoning behind why Ray McCall became a reverend and decide to put down his weapons. We also get to see more about Thomas McCall and how he and his brother dealt with the war and the negative events that occurred in their life. What you get with this game is a solid story backed up with satisfying gameplay, alongside some great multiplayer thrown in for good measure. Bound in Blood allows you to play as both characters, and with the exception of playing a few parts differently, the overall story remains the same. The McCall family stick by one another and starting out as Ray, you try everything in the beginning to look for your brother, even through both brothers have assigned post during the civil war. The McCall's get back together, you both leave your post to check on your Brother back home, and your sick Mother. This upsets your commanding officer, and even after the war is over, he vows to find and kill Thomas and Ray one day. The story consists of great elements surround brotherhood, greed, betrayal, and justice, all the things that make this game so great in my opinion. The majority of the game allows you to pick which brother you want to play as, and each offer different abilities and weapons to choose from. 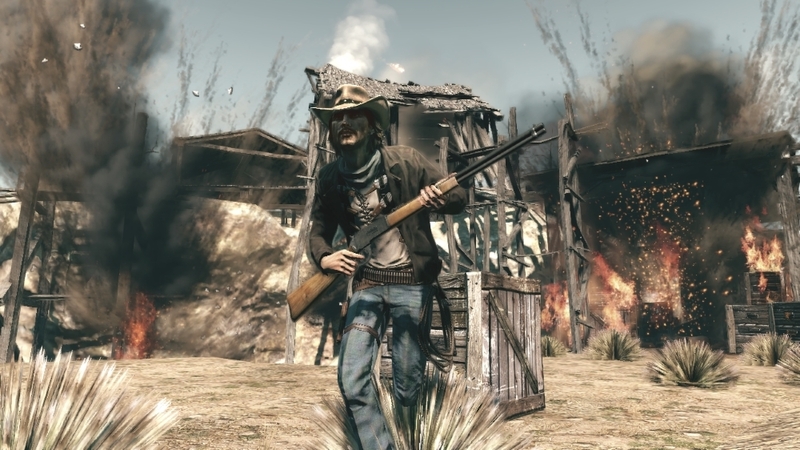 Ray is tougher, and is pretty excellent with a shotgun and can duel wield, while Thomas can get to higher ground, and use a bow, which cause tremendous damage to his enemies when they hit. Both characters can also collect money and upgrade their guns, which will help a lot later in the game. As well as different guns to use, each McCall brother has a special gun-slinging ability that can help clear an area pretty quickly. 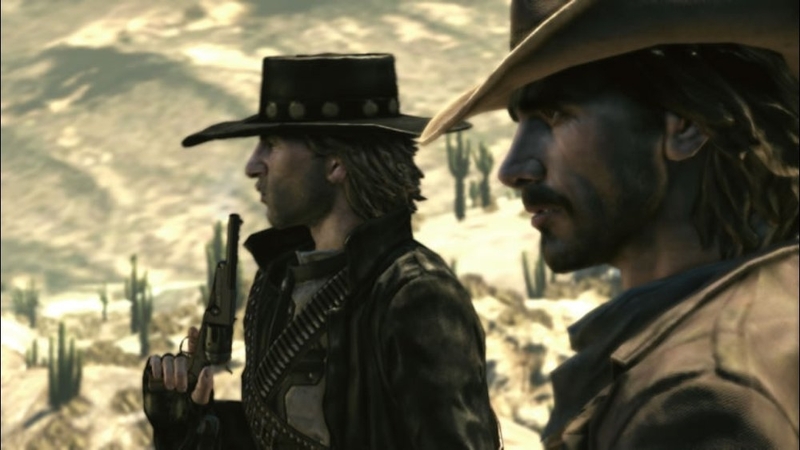 Playing as either will give you the same story, but the gameplay experience can be a little different, so I would recommended playing through once as each brother for the full experience. The visuals in this game are pretty great as well. 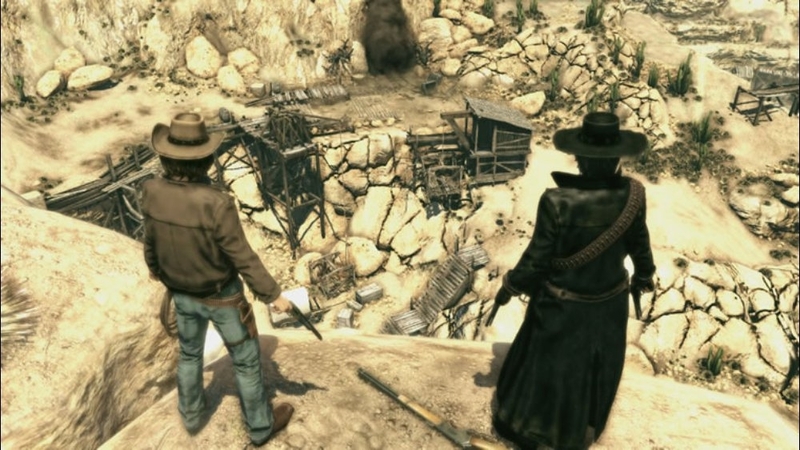 The Chapters where you have side missions are the best because you can just explore the massive areas on horseback, all while a great western soundtrack plays. These parts of the game are truly immersive and it's kind of a bummer you don't to explore that much during the mostly linear game. Multiplayer is standard, but a few modes offer a unique and fun experience. As you progress in the modes, you unlock different classes of characters that have different weapons and traits. There are also plenty of multiplayer achievements to unlock, so trying out the multiplayer can also help increase your gamerscore. Overall this is a great summer game and on the potential sleeper hits of the year in my opinion. Great game with a great story, shooting mechanics, and also, when you have to duel, it so friggin sweet! - No Co-op. Everything for a great Co-op game is there.